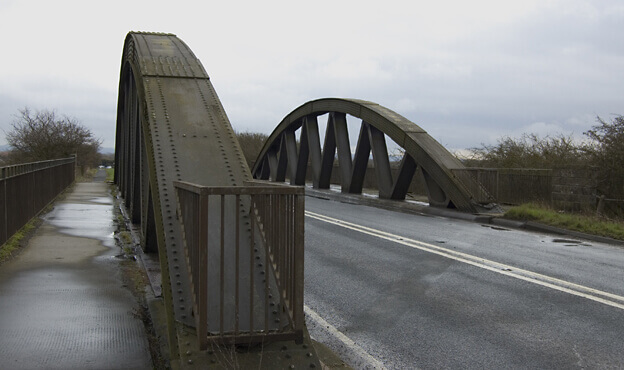 Following damage inflicted by a crash on Gilberdyke Slipper Bridge near Goole in East Yorkshire, the county council identified significant repairs and improvements to the bridge that would extend its life and prevent similar incidents in future. The bridge carries the B1230 over rail lines, and is vital for local access to the M62 motorway, requiring care to be taken to avoid disruption to either road or rail infrastructure. 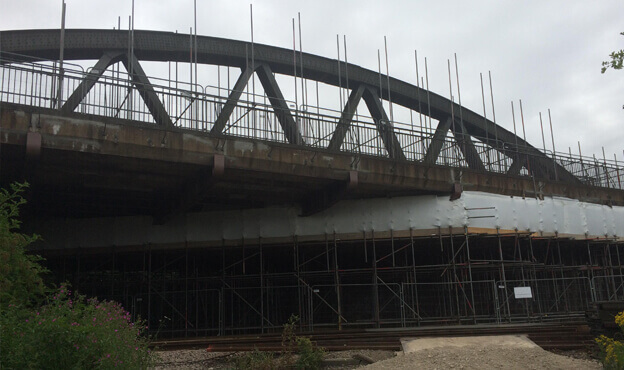 Spencer was contracted to conduct major maintenance works to the single span steel arch structure as well as the re-development and improvement of all four crash barriers on the approach to the bridge in order to prevent a repeat of the incident. We also planned in significant refurbishment works to the rest of the bridge’s structural elements, including re-painting, concrete repairs, joint repairs and bearing replacements. 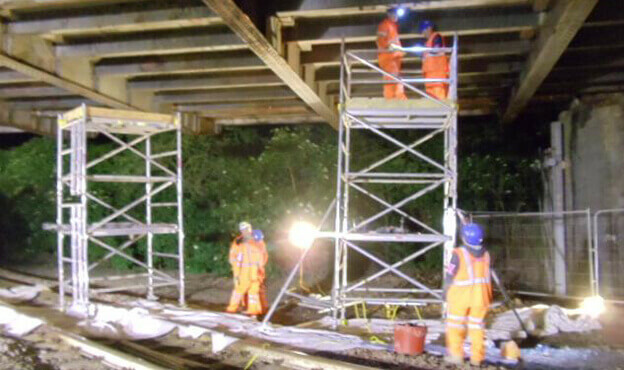 Our depth of expertise in the rail sector was a significant advantage in the planning of these works, with engineers able to plan around the live track below and avoid causing disruption to its normal operation. Spencer was able to complete the Slipper Bridge project whilst keeping it open to traffic throughout the project, as well as allowing trains to pass on the line below. Significant structural improvements were delivered, repairing the crash damage and carrying out maintenance work to other elements of the bridge to extend its life and reduce the need for future works to be carried out. The safety of the bridge, road and rail line were also greatly improved with the addition of the new crash barriers. Our collaborative approach to planning and delivering this project formed an excellent relationship with the client, and led to the award of subsequent projects in the county.